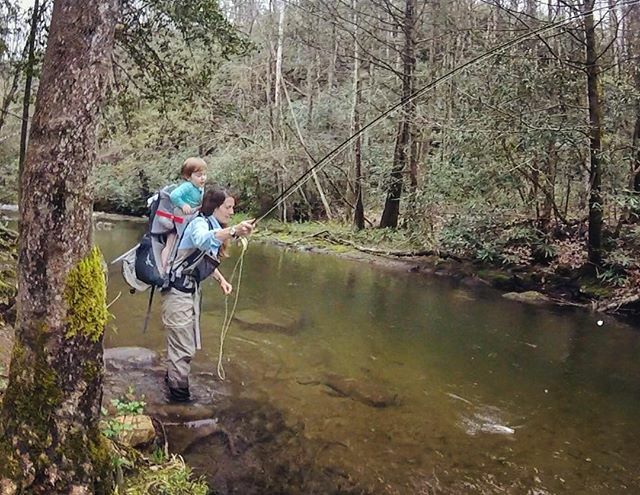 Curtis Creek is one of my favorite small streams in North Carolina to fish! Taking Heidi, August, Mols, Rowan, Twinner and Brave there was a highlight of our road trip for me. We caught bows and brookies while the kids splashed, crashed, and had a blast. So thankful to get outside with this crew. So fun! I wish I had it in me to road trip with my two littles!